A crew of four in search of an island halts in the middle of the sea to check its course. One of the two women gets off the boat for a quick swim. She spots a shark and runs for cover, only to encounter a zombie (under the sea!). She evades them both to get back on the boat and, in the process, ends up pitting the two man-eaters against each other. We have here, cinema reduced to a scientific method. We identify with the woman in the scene (not just because we empathize with her and want her saved, but also because the rewards of horror are sweetest when delayed) and are hence hostile towards both the shark and the zombie. Our emotional investment is the scene comes to an end once the woman gets out of the water and this ensuing fight becomes a pure spectacle to be relished from a safe distance, without taking sides. (This configuration is a regular in horror movies, where the threat is frequently non-thinking, neutral). The woman becomes a catalyst and makes possible reaction between elements otherwise inert and immiscible, a stimulus galvanizing a stable system into instability, a intermediary algebraic variable to be added and subtracted to an equation to make solution easier. Genre cinema at its exploitative best. A possible manifesto for postmodernism, Abbas Kiarostami’s Certified Copy (2010) reminds one of a million other pictures – from the director’s own early films, through Godard, Rossellini, and Hitchcock, to Scorsese, Hou and Jarmusch – in both its major and minor strokes. This actually goes well with the film’s central argument of there being no originals in art as well as life. It asserts, as does Jarmusch’s latest, that meaning and authenticity exist in one’s gaze of objects rather than the objects themselves (Like the director’s previous film, this one reverses the artist-audience relationship and suggests that the viewer is the original author of works of art), that the question of authenticity is obviated if a (relative) truth could be arrived at through artifice, that no art can be inherently original given that it is feeds on and reshapes reality and that all aspects of human existence – appearance, language, behaviour, relationships and gestures – are reproductions of existing templates. Building upon the latter argument, the film examines the importance and inevitability of role-playing in our lives through the lead characters/actors (Juliette Binoche and William Shimmel), who bear an original-copy relationship themselves. Through them, the film proposes that there is no absolute ‘self’ and that it is only within context and within a relationship that each ‘role’ we play obtains a meaning. 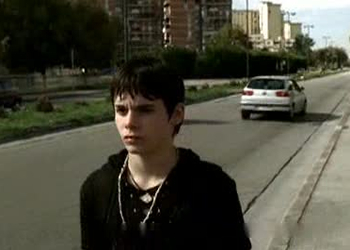 It is not that these two characters are faking it during one half of the film, but just that – like Sartre’s waiter – these inauthentic people segue from one level of role-playing to another (On one level, Certified Copy is a film where actors play characters playing characters playing characters). Akin to Shutter Island (2010), Certified Copy is divided into two realities, with the verity of each half being valid only in relation to that of the other. However, there’s much more to Kiarostami’s film than such straightforward illustration of philosophical ideas. (Like Scorsese’s movie, this one wears its themes on its sleeve, thereby undermining them.) Throughout, it probes where the essence and authenticity of a film rests: in its grand, ethereal ideas or in its banal, concrete physicality. Does the spirit of Certified Copy lie in its precise, recursive structure and its intricate mise en scène or is it in the minute, magical gestures of Binoche’s visage and the gentle eroticism of her loose-fitting gown? If there ever was something called personal cinema, it had to come in the form of Fellini’s masterpiece 8½ (1963). With 8½ had come a new kind of cinematic artist, standing in front of an unlimited canvas woven in time, dipping his hands in colours called memory, fantasy and magic, painting it without giving a damn about what a world would think about it. Placing himself at the centre of his fictional world, Fellini had indeed made it clear what the director of a film can do to it – as a manager, as an artist and as a personality himself. But to see that a film that he made half a dozen years later, Fellini: A Director’s Notebook (1969) that is as ambitious in its scope and as groundbreaking in its impact as 8½, is much less discussed is both surprising and disheartening especially considering the way Fellini transforms a mere, unappealing making-of-movie into something that is as profound and as personal as his acclaimed movies. Made as a part of a series titled NBC Experiment in Television (1967-71), A Director’s Notebook is a precursor to his next film Satyricon (1969) and traces the groundwork that Fellini laid before the shooting of this film. A Director’s Notebook presents us Federico Fellini setting out in search of locations, sets and character inspirations for the period drama within modern day Rome. The narrator tells us that he is trying to affirm his belief that there is a strong link between the ancient and the modern and that the Rome of history text books is still alive and kicking. This idea forms the backbone for the hunt as Fellini hops from night-time streets of Rome to the countryside, from the city’s subways to world renowned monuments and from abandoned sets to active slaughterhouses. We meet a range of characters and also get to see them through Fellini’s eyes. Soon we start to sense what Mr. Fellini is arriving at. We see the Coliseum alongside defunct movie sets, we see images of Nero’s debauched army along side the street birds of Rome, and we see brave gladiators alongside butchers of slaughterhouses. Fellini, as usual, has fun transforming his situation as he wants. He seamlessly switches between images of the past and those happening now. We even get to see the iconic Marcello Mastroianni, whom Fellini likes to call a true Roman (“has all the virtues and all the faults of the ancient Romans”), and his subsequent conversations with Fellini beyond which the film really digs deep. Throughout the film, Fellini sets up a channel between the two Roman civilizations – the present and the ancient – in a way that, primarily, serves as an inspiration for his next movie but also as a personal journey towards the director’s own roots. Be it the virtues – especially the warm and hospitable nature of the people – or the vices – the notorious debauchery of Nero and Caligula – Fellini seems to believe that the culture and the spirit has persisted through the years in the Romans. 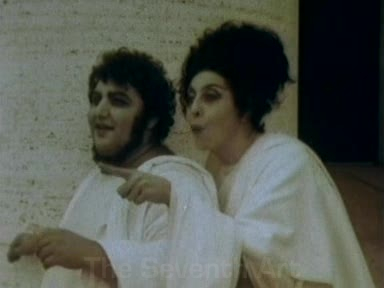 Towards the end of the A Director’s Notebook, Fellini even has the townsfolk who work at the slaughterhouse enact sequences from ancient Rome, complete with costumes and wreaths, in order to validate them for his next film (In the sequence’s hilarious end, one of the gladiator almost cries because he gets a scratch on his ear). In some ways, A Director’s Notebook is Fellini’s version of the wonderful Tarkovsky documentary Voyage in Time (1983), which too unfolds as a nostalgic trip set in Italy, wherein the director uses geography extensively to invoke memories and emotions. In one scene, Fellini and company travel in the subway train and we notice ancient Romans standing outside the train at many places, upon which the director himself notes that this must be a journey in time and not space. In one section in A Director’s Notebook, Fellini visits his long time friend and movie star Marcello Mastroianni to audition him for the leading role in his unfinished film The Journey of G. Mastorna. Fellini tries a lot – adding make up, setting up wigs, going for multiple takes – to somehow get a shade of the cellist Mastorna out of Mastroianni, but finally resigns. When he turns down Mastroianni telling him that he wasn’t into it at all, the actor quips back: “No Fellini, it’s because now you have no faith. It’s as if you are scared. If you could believe that I am Mastorna, I would automatically become Mastorna”. 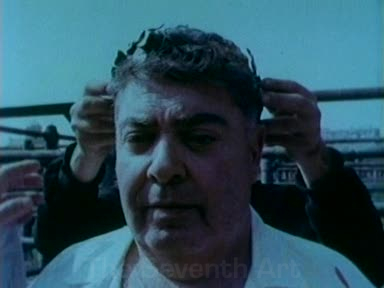 Throughout the movie, Fellini examines the cost that he has to pay for conforming to his reputation, the cost to that has to be paid for him to remain the Fellini that the world knows him as (Fellini is notorious for rarely using the same actor more than once), the cost for imitating oneself just for the heck of it. Fellini’s situation remains true for any filmmaker who tries to construct his fictional world the way he wants it, even at the cost of the real one – issues that both Woody Allen and his idol Bergman have explored time and again. Fellini really pushes the boundaries of filmmaking over here. Unfolding as a tone poem in typical Markerian style, A Director’s Notebook soon goes on to blend documentary and fiction to create a truly personal form of expression that seems to be way ahead of its time. Far from the assured and fluid camera work of 8½ and rightly so, the cinematography in A Director’s Notebook is self-conscious, largely handheld, seemingly offhand and purely functional all the way. Closer to a series of essays than a complete film, the movie seems to be one of the earliest examples of the kind of cinema that would later be explored deeply by filmmakers such as Werner Herzog and Jean-Luc Godard. What part of the film was scripted, what was improvised and what was plainly documented will remain a mystery, but what matters is the unique concoction that the director achieves by this mixture. Stacking various levels of reality over one another like 8½, but also taking it further, this stunning little gem from Fellini may just be the golden key required to unlock all his films that were to follow. A Director’s Notebook, true to its title, also serves as a nostalgia trip for both the director and fans of his work. There are throwbacks of his earlier films throughout A Director’s Notebook. 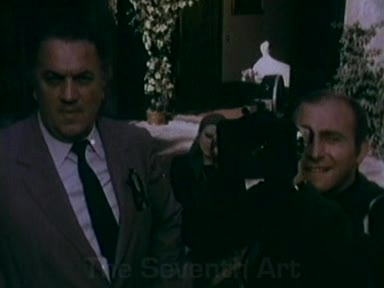 When Fellini visits Mastroianni, the latter is in an interview where the reporters ask him inane questions, much reminiscent of the irritating paparazzi of La Dolce Vita (1960). Early in the film when Fellini is scouting for locations during the night, we cut to a little interview of his wife Giulietta Masina who recalls the (then) edited scene in The Nights of Cabiria (1957) where a strange man delivers goodies to the people living on the fringes of Rome. The hilarious audition section where we have all kinds of people, including a boy who claims he can whistle like a blackbird, a charlatan who seems to know painters more important than Raphael, a lady who thinks her music conveys the same thing as Fellini’s films and even a man whose life depends on his wig, seems straight out of 8½. Even the sequences in the film where the director hunts for life in the streets of Rome during the night time has a lot in common with the positively eerie and Lynchian atmosphere that he created in his segment Toby Dammit in the portmanteau film Spirits of the Dead (1968). But even without the references, A Director’s Notebook remains an auteur’s work. Even if one doesn’t see any connections of this film to his other movies, one can say with conviction that it is a “Fellini movie”. No one other than the ringmaster called Fellini could have assembled the army of characters that appears at various places in the film. At one point in the film, Fellini takes a mini nostalgic trip where he recounts the people of his childhood watching a movie at the theatre, hinting at the kind of films he would be making henceforth. The clairvoyant who can talk to the people of the past, the professor who studies the connection between historical Rome and its present version and the crewmen who turn into Nero’s soldiers are all characters who have the Fellini tag stuck on their forehead. The lonely yet lyrical, dark yet alluring, beautiful yet decaying streets of Rome, the array of immensely human characters who keep flooding the screen with enthusiasm and women with exaggerated make-up and strikingly extreme expressions – now, where else can one see such images other than at Fellini’s circus? The official entries for the Academy Award have been made and as many as 67 countries are vying for the coveted award this year. Among the leading contenders for the nominations are Germany’s The Baader Meinhof Complex, Italy’s Gomorra, France’s Palm D’Or winner The Class, Iran’s The Song of Sparrows directed by Majid Majidi and Israel’s Waltz with Bashir. And the Italian entry is already making waves and being termed as one of the best crime dramas from the country. Though Andrei Tarkovsky’s canon consisted of only seven features, three student films, one documentary and a couple of stage plays and there were more unrealized projects than filmed ones, each of the ideas that were completed were gems and remain unparalleled to date. Looking back, each one seems hand picked and “sculpted” second by second and without doubt, the experience just improves with multiple viewings. Of course, Tarkovsky means different things to different people and the section just attempts to give a universal outline of the projects.